The mysterious appearance of massive golden bracelets in international antiquarian circles uncovers an inside story of the looting of a 2000 yr-old Dacian golden-hoard deep in Transylvania’s Carpathian Mountains. Police investigations of $50 million in stolen golden loot unfold as an epic and dramatic window into the vast illicit trafficking of archaeological artifacts worldwide. 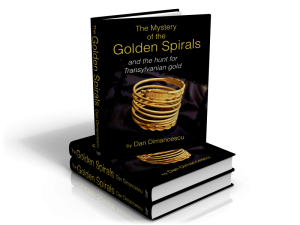 A companion book authored by Dan Dimancescu offers more detail and background to this detective story (click here to purchase).